Robin Gibb, has sadly lost his battle with cancer and the complications related to it and its treatment Saturday May 20, 2012 at the age of 62. His family has released only this statement. As the tributes pour in and the cause of his death is well-known, it wasn’t shocking news that he had passed on but, somewhere deep down inside, a lot of us who had been following his remarkable career, illness and extraordinary recovery from a ten-day long coma a few weeks ago, there was the hope that Robin Gibb would be one of the miracles in this life. Sadly, it wasn’t to be the case. Much like his fraternal twin brother, Maurice, has succumbed to an intestinal issue. Maurice, thirty-five minutes younger than Robin, had passed away on January 12, 2003 due to complications created by twisted intestines. Prior to that, brother Andy Gibb had passed away March 5, 1988 to myocarditis, an inflammation of the heart muscle that was created by a recent virus. Robin developed complications from intestinal surgery with several growths having been removed and liver cancer. Still remaining of the famous family is brother Barry Gibb, age 65 and older sister Lesley (Evans), 66 who still lives in Australia. Barry is now the only remaining member of the former Bee Gees singing group that swept the world with their famous songs throughout the 1970’s and early 80’s. The British born family had moved from England to Australia in 1958 and got their start as a trio there before moving back to England to take their career to higher planes and finally, stardom. The soundtrack for the movie “Saturday Night Fever“, starring John Travolta rocketed their career. Barry and Robin decided to retire The Bee Gees’ title when brother, Maurice passed away in 2003. A list of credits a mile long can be attributed to Gibb but, I’ll leave that for the media to pour over. It will be plentiful in the days to come as the world digests this sad news. The family has asked for privacy during this time. One thing is for certain. 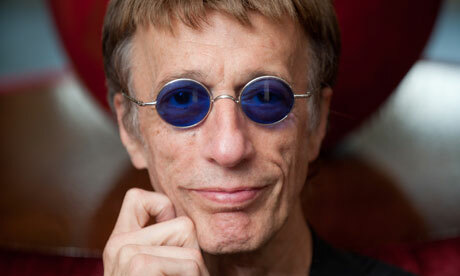 Robin Gibb gave both life and death, everything that he had. 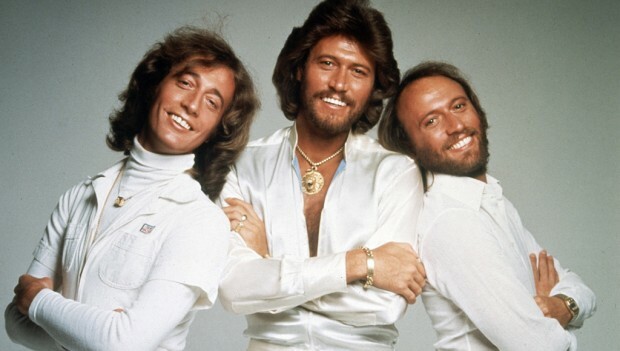 A talented musician, philanthropist and father, Gibb fought with everything in him to continue stayin’ alive, much like the hit song he and his brothers sang in the 1970’s and ironically, has now become the advised song to sing within one’s head to keep the beat of chest compressions while administering CPR. For two and a half years after diagnosis, Robin Gibb worked tirelessly and co-wrote with his son, Robin John Gibb to keep himself busy. The Titanic, the ill-fated ship that Gibb had formed a fascination with throughout his life and co-wrote a commemorative composition with his son, Robin John Gibb Titanic Requiem for the 100th anniversary of its sinking that was premiered in London while Gibb was in a coma due to pneumonia. Robin John Gibb and Gibb’s second wife, Dwina Gibb, attended in his place. Unfortunately, much like the ship, it is now known that his body could not go on and on, as the words in the title song for James Cameron’s famous movie The Titanic. Fortunately, for decades to come and maybe, longer, Robin Gibb will be remembered for his life and the way that he lived it as well as what he brought to this world. In a sense, Robin Gibb will “go on and on”.